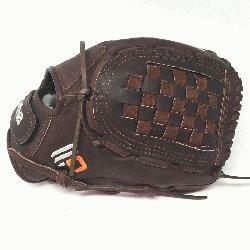 X2 Elite Fast Pitch Softball Glove 12.5 inches Chocolate lace. 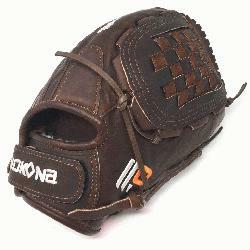 Nokona Elite performance ready for play position specific series designed with specific fastpitch patterns. 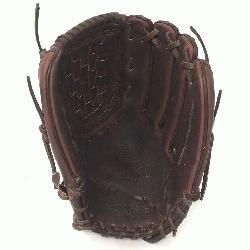 The X2 Buckaroo is made with Nokona proprietary top grain stampede steerhide and kangaroo leathers so that minimal break in is need, but the glove has great structure and maintains its shape. For elite fastpitch players who are looking the the perfect combination of top quality and highest performance.